A startup created the noise-cancelling earbuds designed to be worn all night. 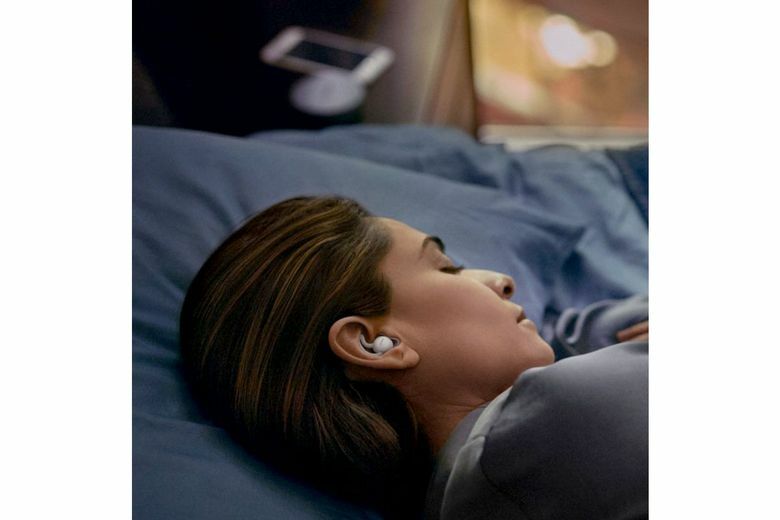 Bose quietly acquired Hush last year and refined its wireless earbud concept, which delivers rain, ocean waves, wind and other sounds that block out unwanted noise and lull users to sleep. Bose has rolled out the Sleepbuds ($250) at its own stores, Best Buy, Amazon and other outlets. Hush is one of the latest success stories for EvoNexus — a longtime San Diego incubator and mentorship programs for startups. EvoNexus seeks to stand out from other incubator programs by allowing young firms to remain for up to two years — which is longer than most other programs. Since it was founded in 2009, 191 startups have gone through the program. Twenty-three have been acquired for a total of $781 million — with the latest being Edico Genome. It was bought by Illumina earlier this year for $100 million. “So here is a team of undergrads who got paid for their startup, and they got great jobs at Bose,” said Moore.